Built for enthusiast gamers with classy Racing series features! It seldom happens that something as technical as a motherboard can get you thrilled. But that’s exactly what happened to me when I unboxed the Biostar B150 GT5. It is one amazing looking motherboard put together with good quality hardware that supports the latest 6th gen Intel processors and DDR4 RAM’s and faster storage. 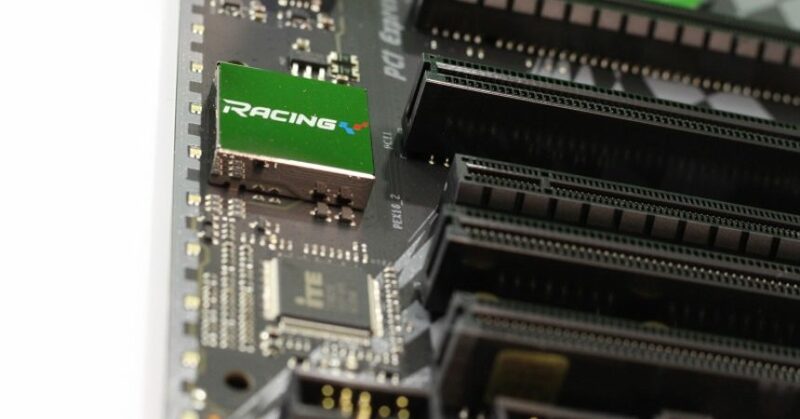 Tagged with the ‘Racing series’ from Biostar, this platform is built to impress enthusiast gamers. Let’s find out if it does the job well, in my following review. 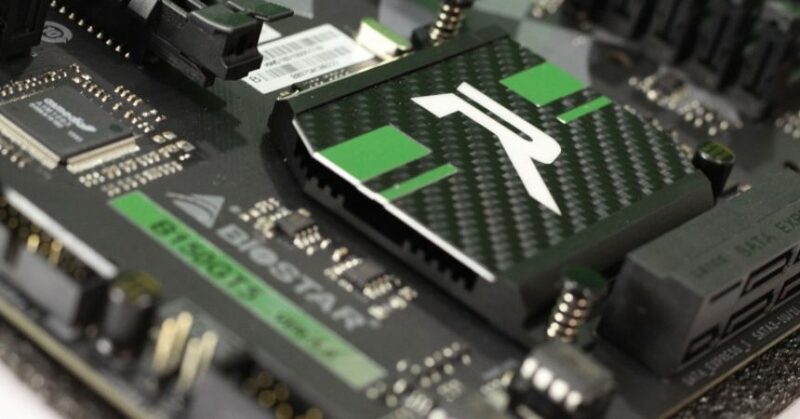 Out of the box, this motherboard looks impressive with what Biostar calls its ‘Super 5’ design concept. It has the carbon fiber sporty design with the shiny black color panel and elegantly designed various ports. The build quality is superior and it can withstand some rough usage too (though not intended for the same). It has good protection against outside climate, moisture, and electromagnetic discharge which again adds to our trust with the build quality of this motherboard. 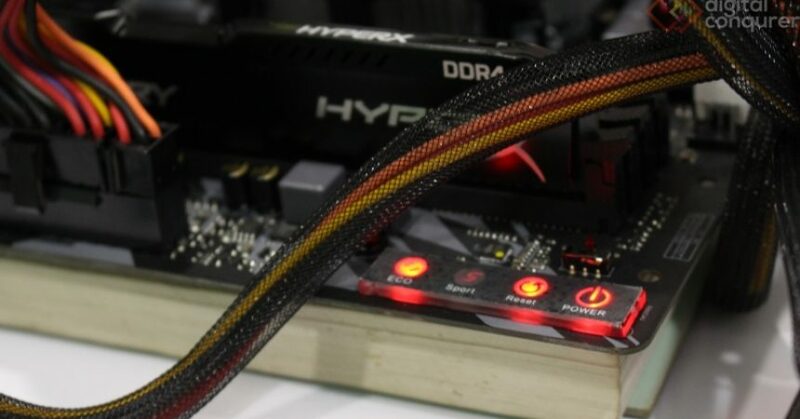 Apart from debugging LEDs for CPU, RAM, and VGA which helps in locating the hardware problems quickly, there is also an individual strip of LEDs mounted on one side of the motherboard which lights up the motherboard beautifully. These LEDs can be controlled by the Vivid LED DJ software and you can also tune it to match the playing music beats. Further, Biostar extends this LED lights feature and enables you to extend the colorful light setup with additional LED strip provided in the box, with the onboard 5050 header, which can also be controlled by the software. So for all the enthusiast gaming case builders out there, these pre-installed utilities and colorful LEDs would make it worth owning this Biostar Motherboard. 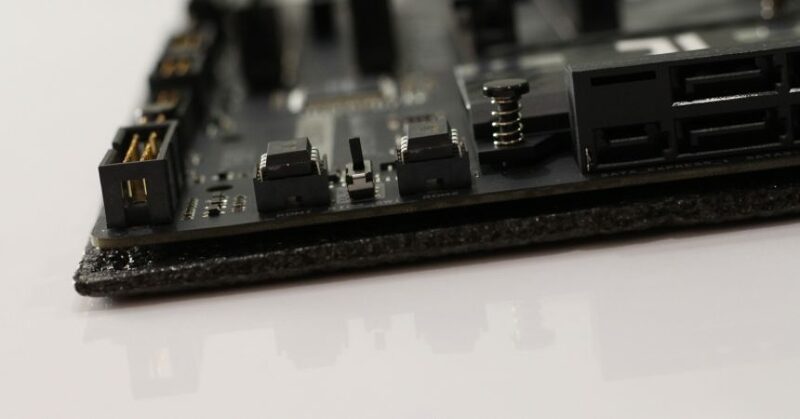 All the components are heavily soldered to the board which adds strength to the installed hardware parts, ensuring the durability of this motherboard. 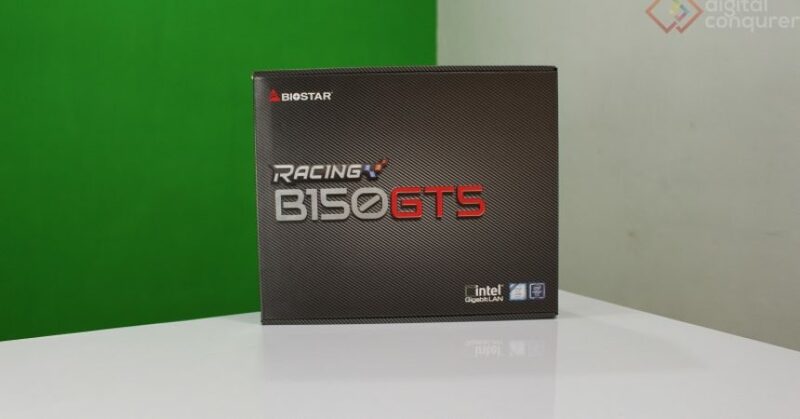 The Biostar B150 GT5 features the Intel B150 business class chipset which supports the latest 6th gen intel processors and supports up to four DDR4 RAMs with combined capacity of 64GB at the speeds of 2133 MHz. The high RAM capacity also makes sure, this board can be used for more powerful workstation builds for video editors and animators. It has PCI-E 3.0 ports which have twice the bandwidth of PCI-E 2.0 ports. For storage purpose, it has 4 x SATA at 6Gb/s and 1 x SATA Express at 16Gb/s and for expansion purpose it has 2 x PCI-E x16, 1 x PCI-E x1 and 3 x PCI ports. 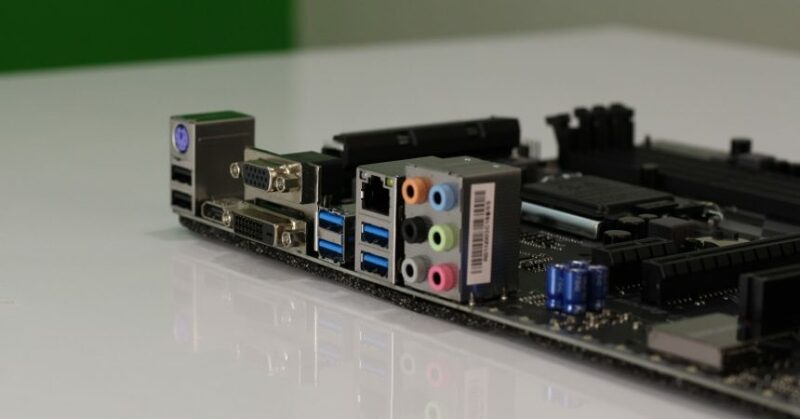 Therefore, this motherboard offers the wide range of connectivity ports with the high bandwidth which is very useful when coupled with latest performance PCI-E SSDs and high-end graphics cards. It has support for DirectX 12 therefore, you can build a good high-end gaming rig but there is no support for two-way SLI. The Biostar B150-GT5 has 6 USB 3.0 ports, 6 USB 2.0 ports, and display ports like DVI-D, HDMI, and VGA. The HDMI port that can support up to 4K resolution of 4096 x 2160 @24Hz and the VGA port can support full HD 1080P resolution up to 1920 x 1200 @60Hz. There are also two on board switches to toggle BIOS & LN2, both of which have good build quality and offer solid clicking sound when toggled. The LAN i.e. Ethernet port is Intel i219V and can support data transfer speeds of up to 1000 MBPS. The rear panel has audio ports which come with high quality ‘Non-Polarized Electrolysis Electric audio capacitors’ for each audio channel circuit. The customized audio capacitors deliver low noise, low distortion, and wide bandwidth to achieve the highest sound resolution and sound expansion. Therefore, you can rest assured that you will get the best quality audio output from this motherboard. 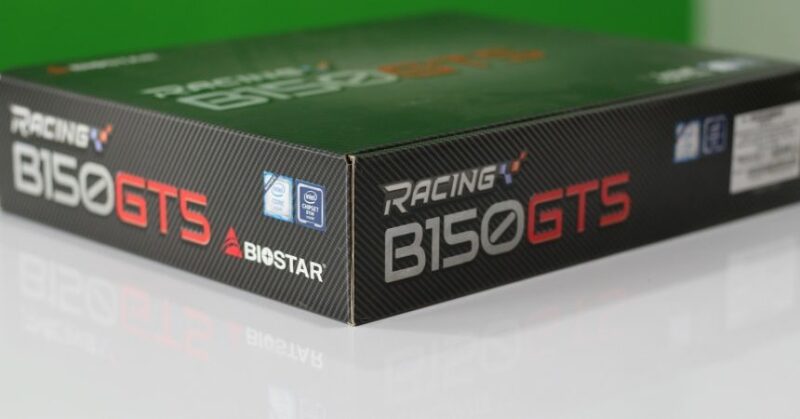 As the Biostar B150 GT5 is built with intel B150 chipset that supports all the latest hardware out there, we tested the BIOS using Intel Core i3 6100 processors, Kingston HyperX Fury 8GB of DDR4 2133 Mhz, 2GB Nvidia GTX 750 TI OC graphics card & Corsair VS550 Power Supply. The BIOS is one of the coolest looking UEFI dashboards we have ever used. With the car like the dashboard that shows up speeds and voltage figures at which the Processor & the RAM operates. Right below that is the system Fan readings being updated live, along with the time and complete welcome page of BIOS on the left. As this is the advanced click BIOS you can operate it with the mouse, and menu at the bottom will let you scroll through the options like Boot devices, chose BIOS types, CPU and RAM clock settings and the rest of the security features. There is a hardware switch present to configure and switch between two BIOS setting ROMs, the active ROM has LED indicator which lights up in Red. Another switch on board is LN2, which by default is at normal frequency, but if turned ON, will set your CPU to run at lowest frequency 9e.g.800MHz) to avoid unexpected system shutdown. As this is the business class chipset, it comes with Intel Small Business Advantage which provides an out-of-the-box hardware-based security and productivity suite designed for small business users with unmanaged IT. In simple words, it increases the security of your system at the BIOS level. therefore, your data will remain secured from all the potential malware’s and other hackers who try to exploit the hardware to get data from your system. 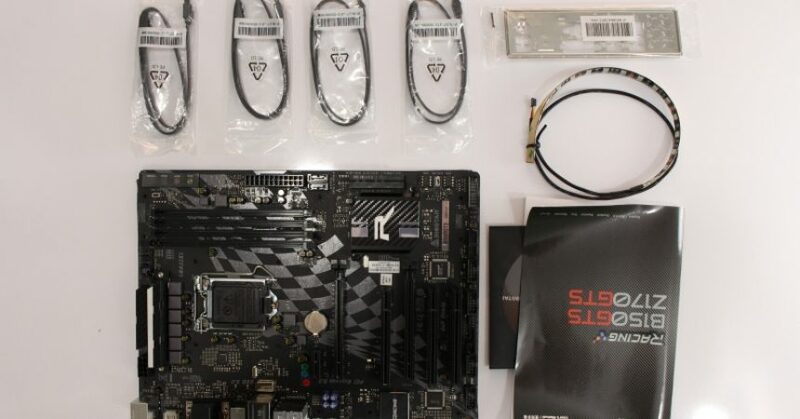 Therefore, the Biostar B150 GT5 is a good motherboard for business owners as well for their system. We played quite a few games and did video editing on this board for prolonged times, and even with the open rig, the operation was pretty silent with Corsair VS550 power supply. 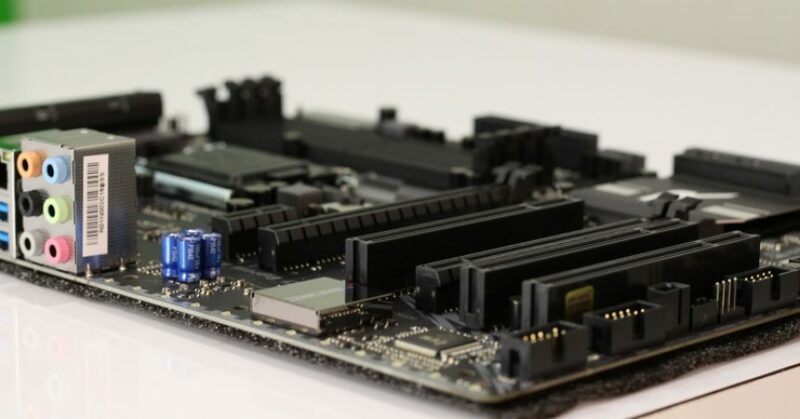 With available processor and graphics, we surely underutilized the potential of this motherboard, but based on our 10 days experience with this board we can conclude, this board can be great for hosting a really high-end gaming or video editing rig. 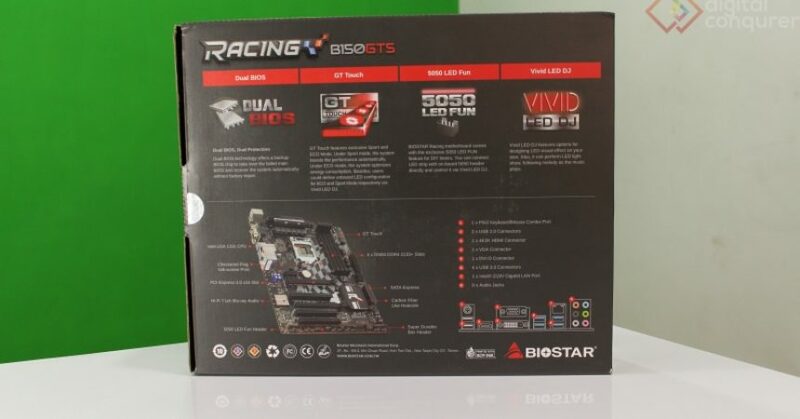 With all the features Biostar B150 GT5 has to offer it is one of the rare motherboards which are capable of giving for good gaming experience as well as deliver a solid performance for a workstation builds for businesses. 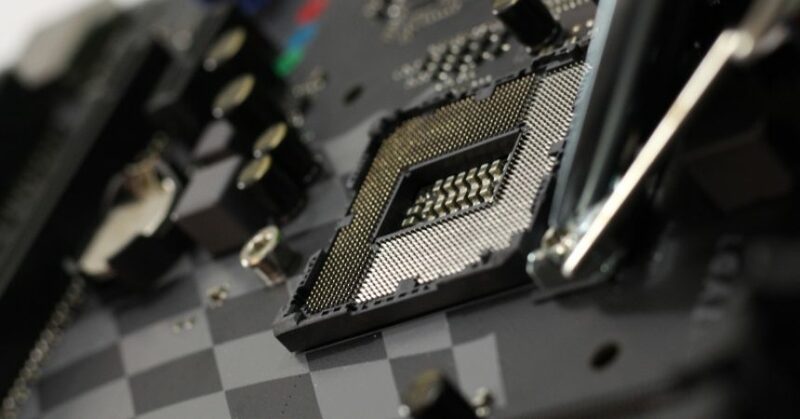 With the available high bandwidth data ports, memory slots and the power of new generation computer and graphics processors, this board can host a high-performance gaming and workstation PC. All this added with its custom LED DJ feature makes it a cool motherboard you can show off. 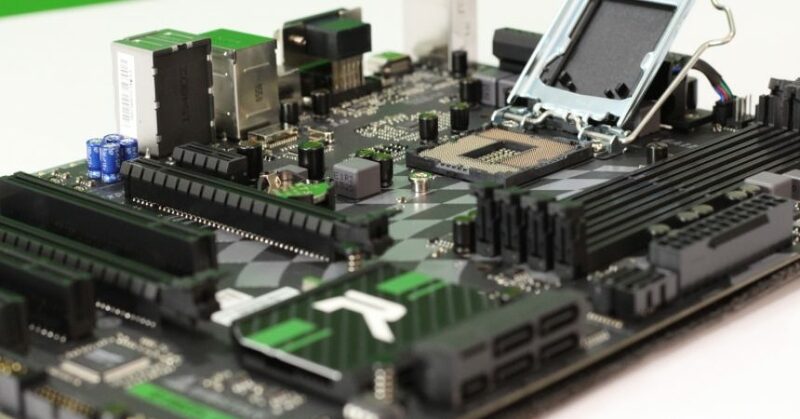 At a price of about Rs 10,500 in India, I think it is one of the best motherboards you can buy which will suit all your needs and offers a versatile set of hardware selection for future upgrades.